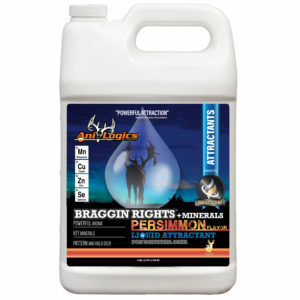 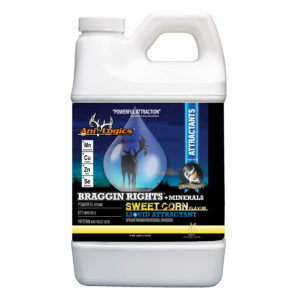 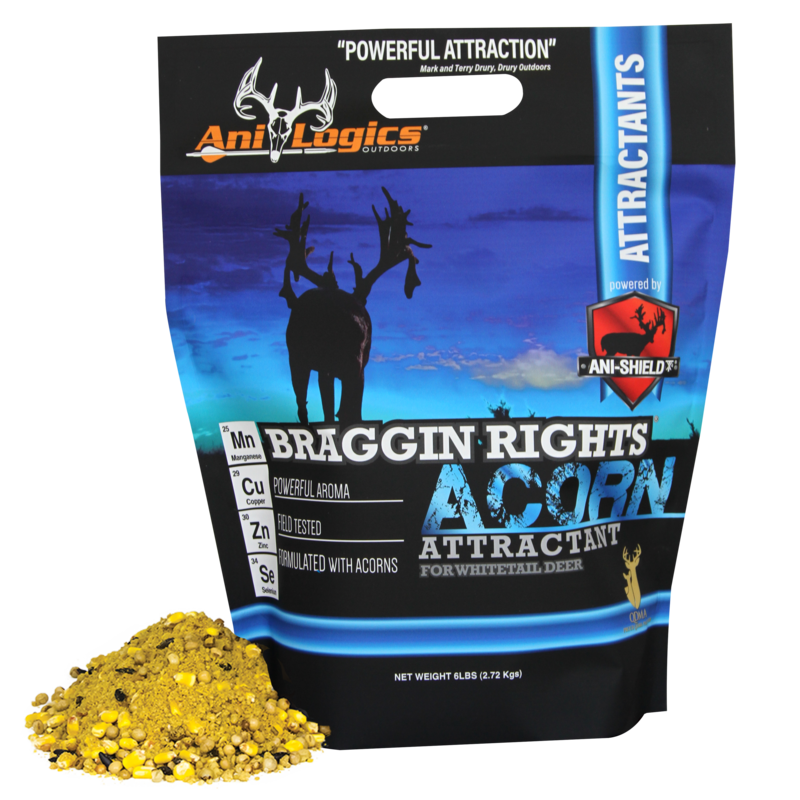 Cut open a bag of Braggin Rights® and you can instantly smell the difference between this and ordinary attractants. We use it with our trail cameras to bring deer in faster and pull out those elusive bucks, even during daylight hours. 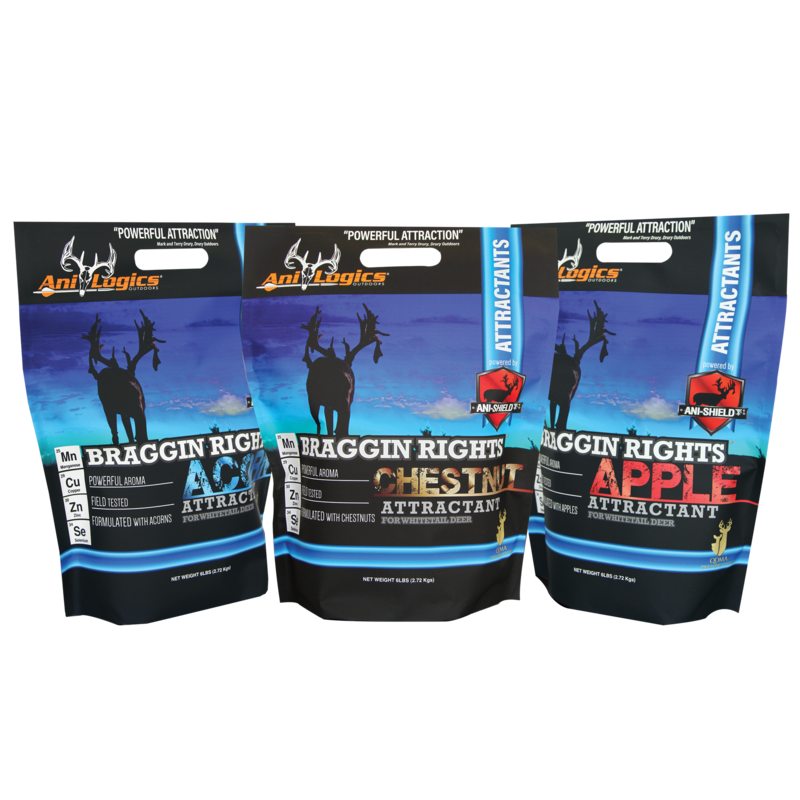 The whitetail’s keen sense of smell can pick up this unique scent from a very long distance and the signature flavor will lure deer in and hold them on your hunting property. 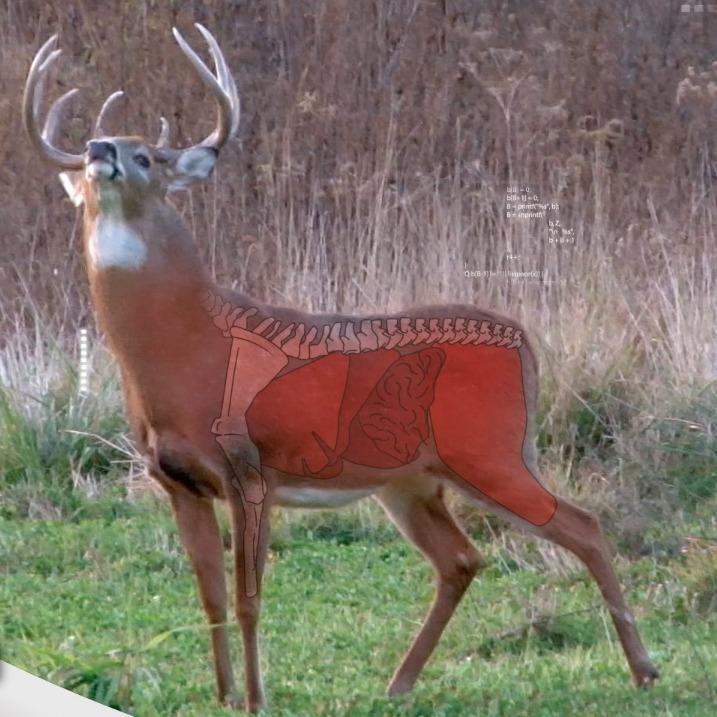 Deer have 297 million scent receptors in their noses, more than dogs, bear, or even wolves. 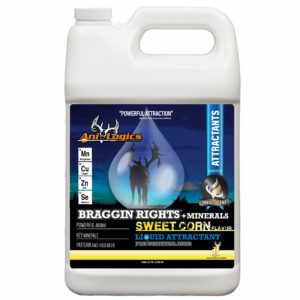 Their smelling ability is more than 100x better than humans. 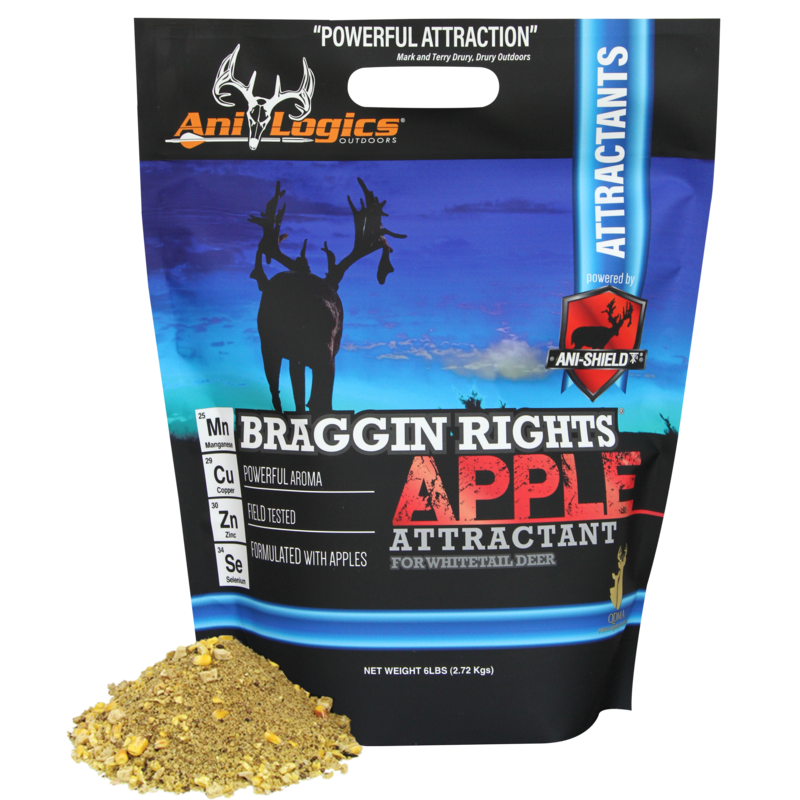 All three granular Braggin Rights® products contain trusted ingredients like acorns, apples, and chestnuts and the liquids contain: apple, persimmon, and sweet corn. 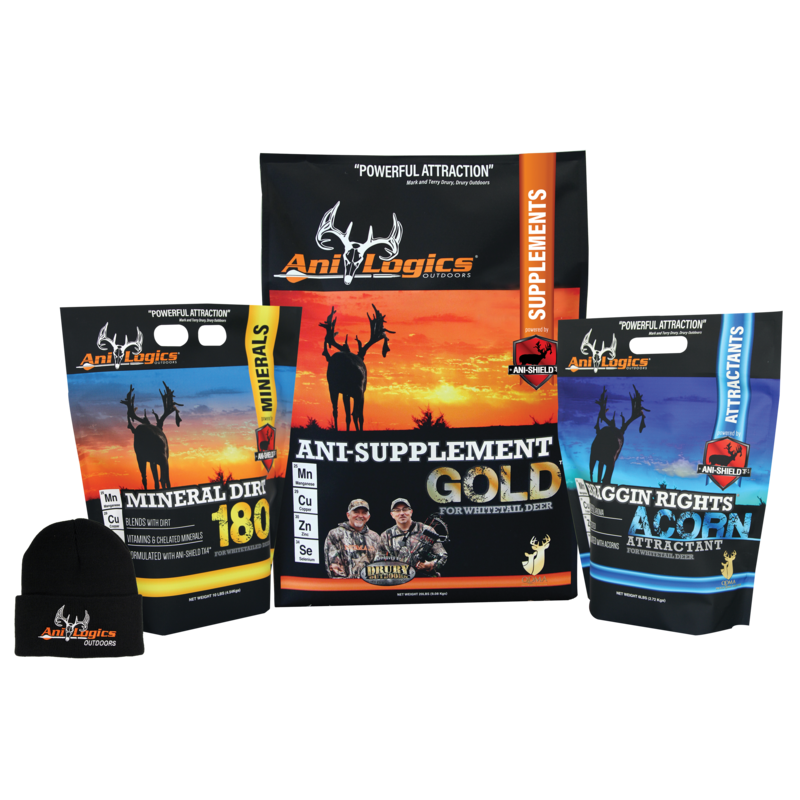 Professional hunters rely on these ingredients to attract deer, PLUS we added a proprietary attractant and flavoring sourced only for Ani-Logics™ products. 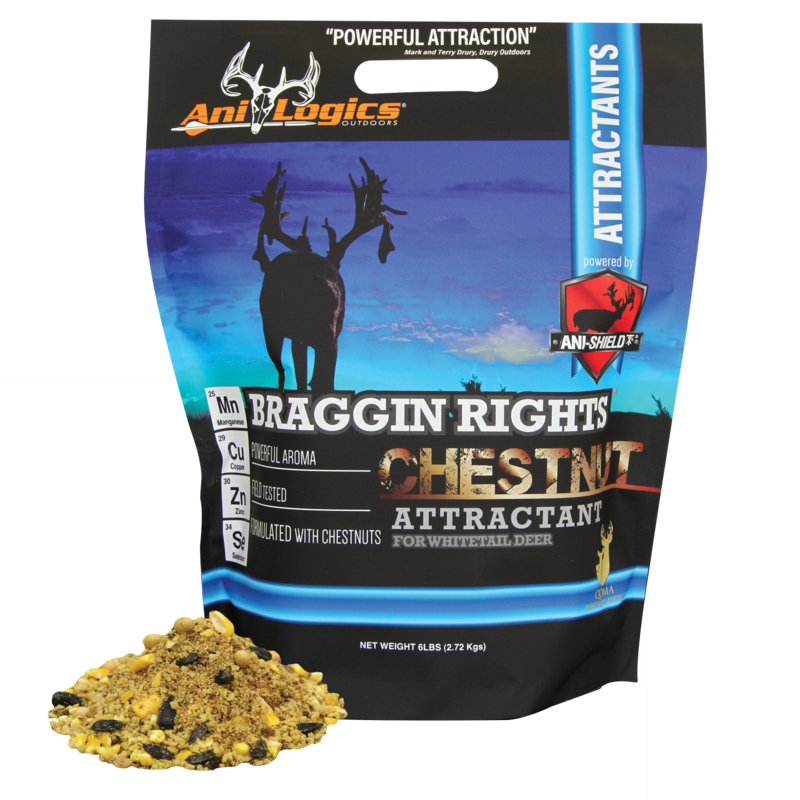 You can train your deer to frequent a site by feeding other Ani-Logics™ products all year long, so they learn to search out this familiar, unique scent. 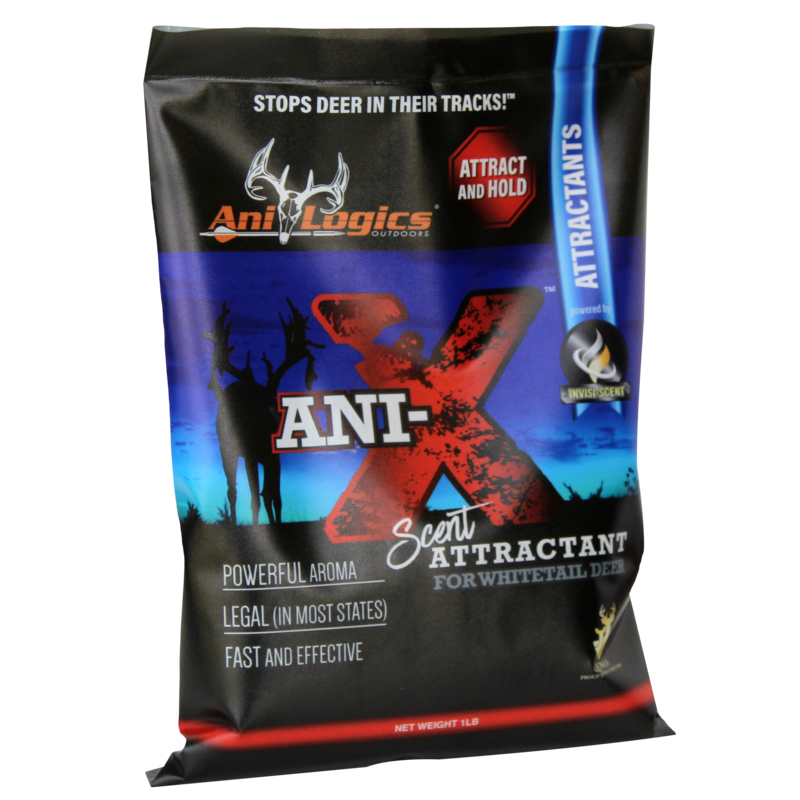 Ani-X Scent Attractant – Stops Deer in Their Tracks!